Youngwood JATC - 263 Armbrust Road, Youngwood, PA 15697. Ebensburg JATC -172 Municipal Road, Ebensburg, PA 15931. DuBois JATC - 3572 Watson Highway, DuBois, PA 15801. • A high school transcript of grades (not diploma) or GEO test results. • Photo copy of the military discharge, form 00-214, if a veteran. • Must provide a valid Pennsylvania driver's license. • Must be at least 18 years of age at time of filing application. • Must be willing to work for various contractors. week for a minimum of five years and be available for employment. • If you have any questions, please call 724-925-8108. Five years and counting with an unemployment rate lower than both the state and the national jobless number. The seasonally adjusted unemployment rate, issued Monday by the state Department of Labor and Industry, increased for the first time since September. In October and November, the regional rate dropped from 7.4 percent to 7.2 percent. For the year, January through December, the region's unemployment rate crept from 7.0 to 7.3 percent. Pennsylvania's seasonally adjusted rate in December 2012 rose one-tenth of one percentage point to 7.9 percent, and the national rate was unchanged at 7.8 percent. In the region, Butler County remains the county with the lowest rate, at 6.8 percent, while Fayette County remains the highest, at 9.7. The city's rate -- which is not seasonally adjusted -- was estimated at 7.1 percent. Even as the region's rate inched up, the Pittsburgh metropolitan statistical area added an estimated 800 jobs, to a record of nearly 1.17 million. Year-over-year, according to the Department of Labor and Industry, the non-farm total grew by 7,200 jobs. That means that the region's increasing unemployment rate is not the result of fewer jobs, but a larger labor force. Greensburg, PA—January 15, 2013 The Westmoreland Conservation District announces the launch of Troops to Tractors. 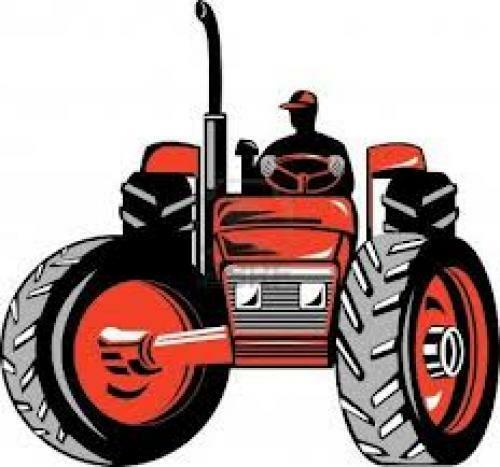 They are seeking military veterans who wish to transition to a second career in agriculture. Westmoreland Conservation District’s Troops to Tractors seeks honorably discharged veterans to connect them with successful farms and agribusinesses in southwestern PA. Veterans seeking on-the-farm employment, apprenticeships, or internships can get connected to resources to locate farms or agricultural operations that welcome the skills and dedication that veterans bring to the work environment. Did you grow up on a farm and long to return to the rural way of life? Or, are you seeking a second career where you can use your skills and working outside in a fulfilling and challenging environment? If you are a 20% or more disabled veteran or have GI Bill benefits, you may be able to access stipend programs in connection with your transition into farming. For those already on the road to farm ownership, Troops to Tractors staff can point you in the right direction for educational and financial resources. Westmoreland County, PA, 45 minutes east of Pittsburgh, is home to many acres of breathtaking farmland. If owning and working an agricultural operation is in your future once you leave active duty, the Troops to Tractors program can also connect you to resources connecting farmers seeking buyers so that farmland can stay productive. The unemployment rate in Pennsylvania rose above the national rate in December, according to figures released Friday by the Bureau of Labor Statistics. Pennsylvania's unemployment rate was 7.9 percent, slightly above the state's November unemployment rate of 7.8 percent and the national unemployment rate of 7.8 percent for December. The unemployment rate in the state is higher than it was in December 2011, when the seasonally adjusted rate was 7.7 percent and unemployment was waning from its post-recessionary high of 8.7 percent. The state unemployment rate ultimately fell to 7.4 percent in March and April 2011, but has risen since then and has been hovering around 8 percent. In April 2007, well before the Great Recession started in December of that year, unemployment in Pennsylvania was 4.2 percent. The unemployment rate did not hit 5 percent until April 2008. Comparing December 2007, when the Great Recession began, to December 2012, three and a half years after the official end of the recession, shows that while the state's civilian labor force grew by 179,000, the number of people who were working was still down by 46,000. In December, the state also lost nonfarm jobs. A blunt count of jobs, without the smoothing of spikes that is done with seasonal adjustment, found that employers cut 24,800 jobs from November to December. Seasonal adjustment of those numbers, however, provided by the Pennsylvania Department of Labor and Industry Friday, brought it down to 4,800 jobs lost. Goods-producing industries added jobs overall with 700 new jobs in mining and logging and 4,400 construction jobs. Mining and logging jobs were up by 3,300 from December 2011, but construction was down from the previous year by 7,700 jobs. Manufacturing, which was up by 5,500 over December 2011, lost 1,100 jobs from November to December 2012. In the service-providing sector, the state lost 8,800 jobs during the month, but was up by 37,600 jobs from the same time in 2011. Trade transportation and utilities lost 5,500 jobs from November to December; leisure and hospitality cut 5,100 jobs from month to month; and financial activities lost 1,800 jobs during that time. Those three sectors all increased jobs in a year-over-year comparison by 9,100, 15,000 and 3,800, respectively. Education and health services, however, which added 3,700 jobs in December from November, was down by 1,800 jobs compared to December 2011. Government added 1,500 jobs during the month, but was down by 200 jobs in a year-over-year comparison.